Lewis Carroll (1832-1898) was the pseudonym of English mathematician and writer Charles Lutwidge Dogson.His fragile health and intellectual curiosity led him to develop a shy and withdrawn personality that clashed with the adults around him,although he always felt at ease amongst children. His most famous works are Alice in Wonderland (1865) and its continuation,through the Looking-Glass and What Alice Found There (1871),both filled with magic and fantasy and written especially for kids.The author achieved great commercial success with his noveIs and became one of the most quoted English writers,after Shakespeare. 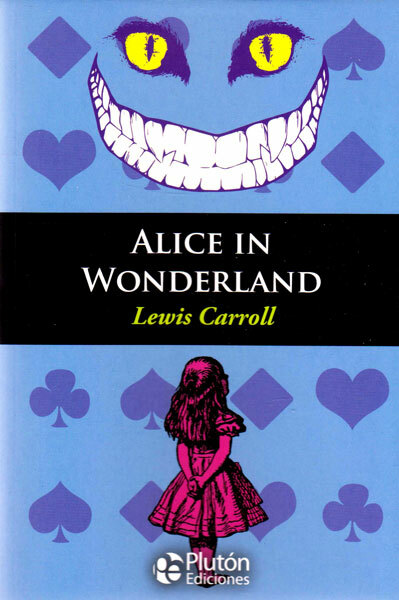 In Alice in Wonderland, the world of the adults,the incomprehensible real world,boring and complex for children,quickly makes way for a more interesting and colourfullandscape,full with strange characters and amazing adventures for Alice and her readers. Carroll was a master of literary nonsense,as a way of subverting language conventions or logical reasoning,creating a very thin line between humour and surrealism to emphasize the whimsical nature of his fantasy.Paradoxes and word play are a staple of the author\'s work,captivating children and adults alike and all over the world.